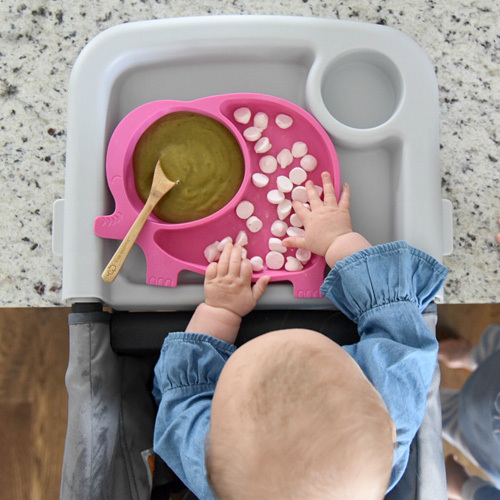 1 Pink Sili Elephant silicone suction plate - Super suction means no more tossed plates! 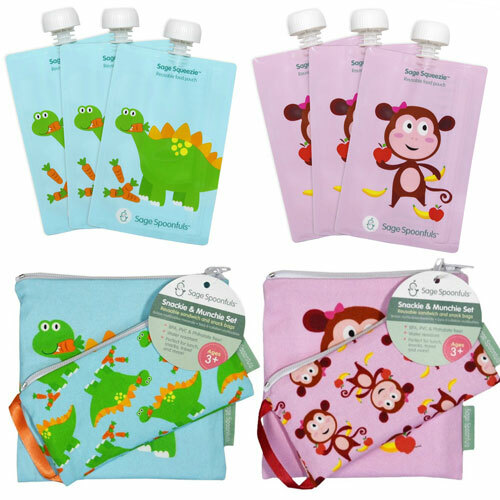 6 Monkey Sage Squeezie reusable food pouches - Reusable! 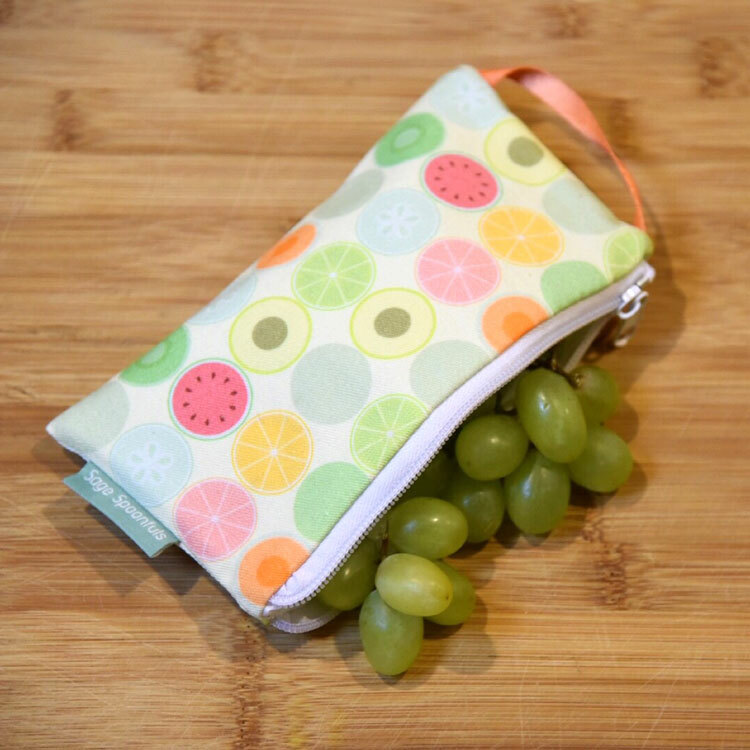 Just 1 Squeezie reusable food pouch takes the place of over 50 single use pouches. 1 Monkey Snackie & Munchie bag set - Reusable and machine washable! 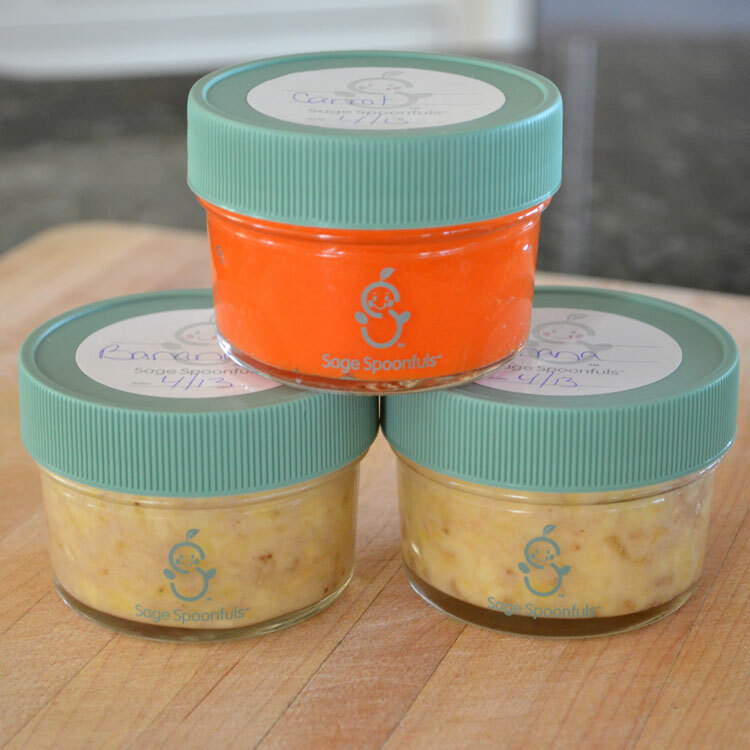 Perfect for litter less school lunches and snacking on-the-go. Receive FREE SHIPPING and an On-The-Go Cooler with this purchase!